Shona Banda has become a very public marijuana martyr after her son was taken from her by Kansas police and DCFS workers. Shona Banda has become a very public marijuana martyr. Last year her son was taken from her by Kansas police and DCFS workers when her 11-year-old son extolled the virtues of his mother’s medicine in a school-mandated drug education class. She is fighting back with a lawsuit. Shona’s lawsuit brings a case against the state, Gov. Sam Brownback; Kansas DCFS Secretary Phyllis Gilmore; the Garden City Police Department and its chief, James R. Hawkins; and Garden City Unified School District 457 and one of its former counselors, Tyler Stubenhoffer, as defendants. The state and it’s agencies have deprived her of her civil rights to treat her debilitating condition and to parent her child. Employees of her son’s school and Garden City Police violated her constitutional rights by questioning her son with parental consent, and searching her property without a warrant. The suit claims that “emerging awareness” of the medical uses of cannabis, the active and pending legislation in much of the country, and the studies that show cannabis as significantly effective against the pain and symptoms of her disease when no other prescription drug or remedy has been all give her and others a fundamental right to use it for treatment. “Subjecting her (Banda) to up to thirty … years in prison for using a plant that has been shown in studies to significantly reduce the symptoms and pain associated with Crohn’s Disease when no other prescription drug or remedy has been effective in doing so objectively shocks the conscience of any reasonable person,” the lawsuit says. Shona Banda has been charged with 3 felonies and 2 misdemeanors as a result of the unlawful questioning of her son and illegal search of her residence, including child endangerment. Her medicine was in her home, in the open, and within reach of her child. If she were diabetic, and her insulin or Metformin were the medicines in question, there would be no case, despite the fact that they could be potentially fatal to a child, while cannabis cannot. Nevertheless, she faces 30 years in prison. Even if it were a loaded weapon instead of a non-toxic plant, the situation would be different. The only dangerous actions in this case were those of the state and the school. The only danger to her child that this medicine posed was its location on the law books, not her home. Banda’s son was educated by his mother on the medical uses of cannabis and how it treated her condition, and did not have it in his system or possession. 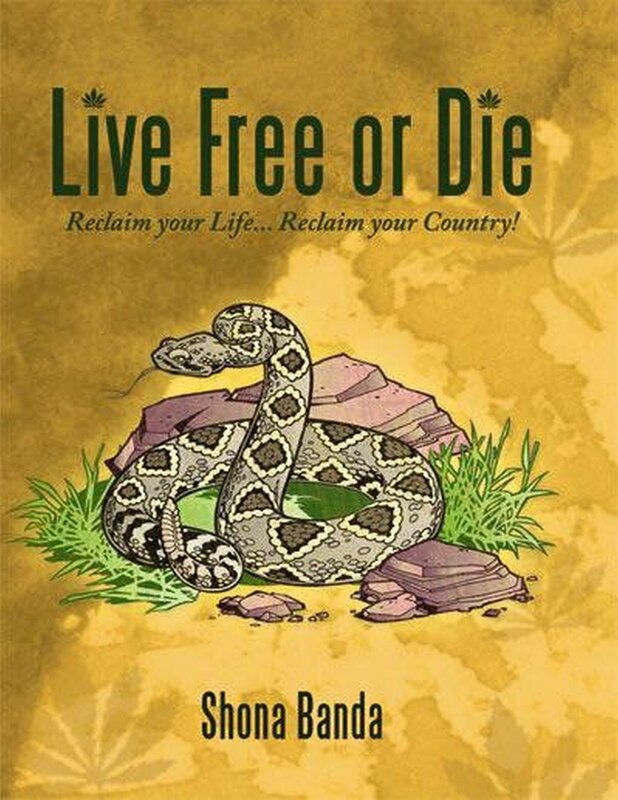 Shona is a cannabis advocate and author of “Live Free or Die: Reclaim Your Life… Reclaim Your Country.” She is representing herself in the federal case. Do you think that the widespread acceptance of cannabis for medical purposes sets a precedent for patients to use it whether their laws are reasonable or not? Let us know your thoughts on social media or in the comments below.